Some people literally can’t live without food pantries, but many food pantries in Prince George's County are seeing a big drop in inventory this summer. Food donations typically drop during the summer as people become busy with other obligations, but hunger never takes a holiday. 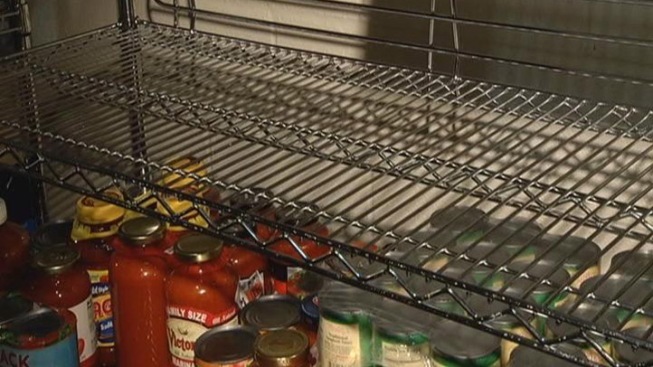 Such food stocks are down throughout Prince George’s County, so pantries like newly opened Beltsville Adventist Community Center are asking for the public’s help. “We realize that a couple thousand residents in Beltsville are needing services like this,” Beltsville Pastor Glen Holland said. The average household income in Prince George’s County is deceiving because of the high cost of living in the D.C. area, Holland said. For a list of food pantries in the county, click here.